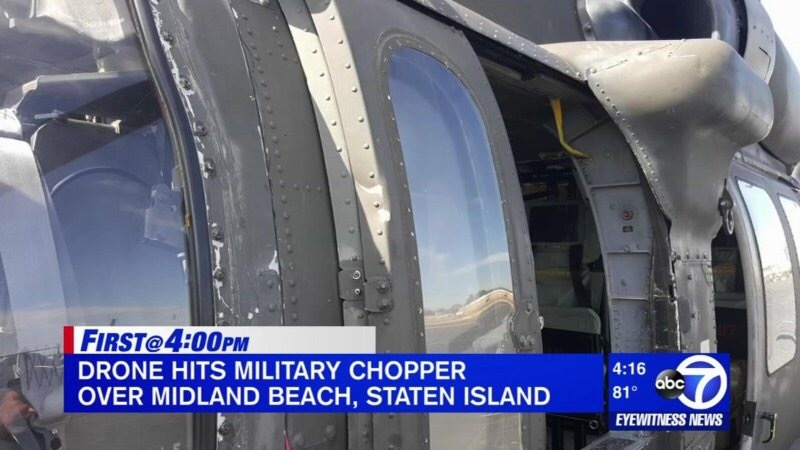 The National Transportation Safety Board (NTSB) released its final report from the Sept 2017 Hoffman Island, NY sUAS Army Blackhawk collision. In the report released by the NTSB the DJI Phantom 4 small unmanned aircraft system (sUAS) was destroyed and the helicopter sustained minor damage. The sUAS pilot was operating under the Title 14 Code of Federal Regulations Part 101 as a hobbyist. However, the pilot was not operating the aircraft in accordance to those rules. He flew the sUAS 2.5 miles away from the controller, beyond the visual line of sight guidelines. 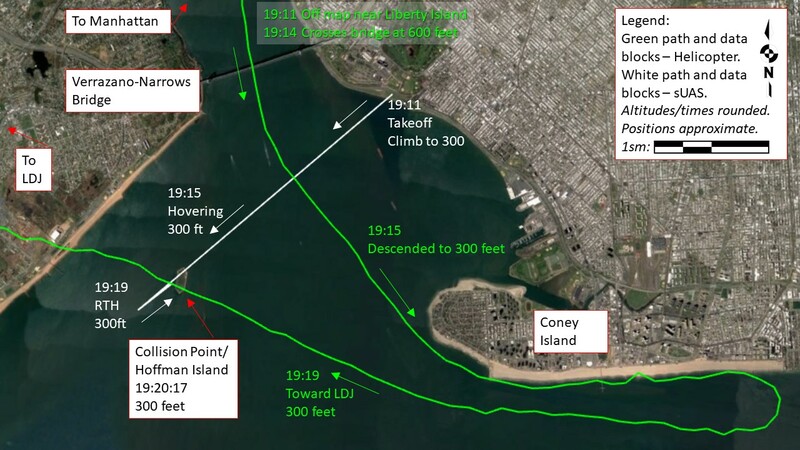 The aircraft was at 547ft, which 400ft is the max altitude for sUAS operations. Lastly the collision happened just 2 minutes before the end of civil twilight, giving the likeliness that the sUAS pilot had no clue about night time operation restrictions. 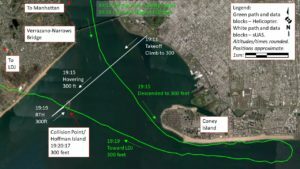 The final verdict was “the failure of the sUAS pilot to see and avoid the helicopter due to his international flight beyond visual line of sight. Contributing to the incident was the sUAS pilot’s incomplete knowledge of the regulations and safe operating practices”. Macatawa Unmanned Systems Analysis: sUAS pilots need to ensure they know what TFRs are out in their area when conducting operations. They also need to ensure they are staying under the 400ft AGL restrictions. Finally, they need to maintain visual line of sight to ensure yielding to manned aircraft. For more information on sUAS safety contact info@macatawaus.com.